Leave it to the committed anti-debt pragmatists at Mises Institute to sum up the stark reality of economic growth fueled by a Fed furnace that burns printing-press dollars. As ever, it’s the timing of the collapse that is the great ‘x’ factor, the giant variable. 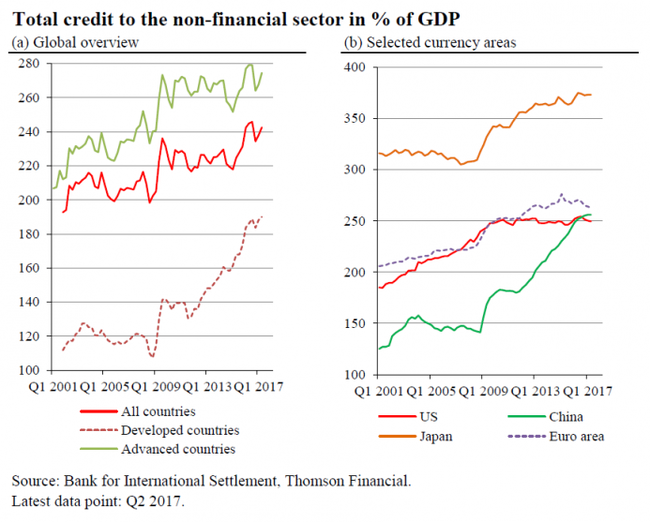 Given that governments are supremely incentivized to keep the plates spinning, thereby putting off the inevitable hangover of such a massive fiduciary stimulus spree, when the crash does come it is likely to be massive in scale and breathtaking in the speed with which it unfolds.